This year, the District's biggest office project is Douglas Development's 655 New York Ave. NW, the 757,000-square-foot future headquarters for The Advisory Board scheduled to open in May. It also ranks as the 16th largest office project in the country this year. 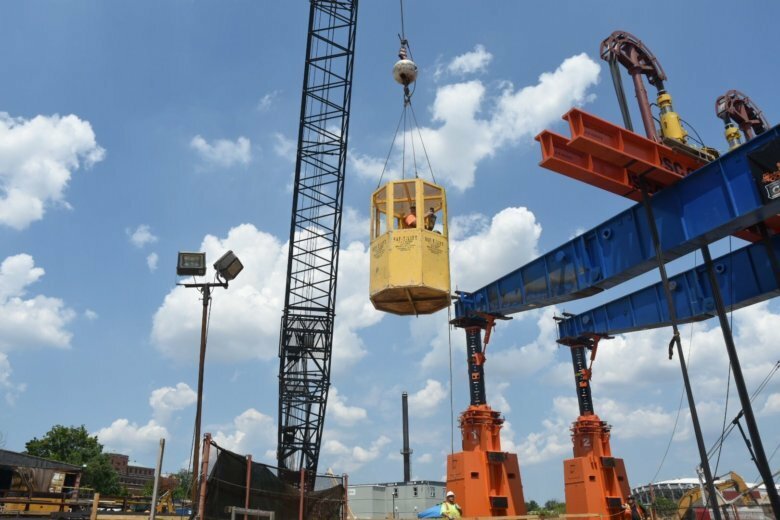 The Washington, D.C. region ranks sixth in the nation for scheduled 2019 new office project delivery, second only to New York City among East Coast metropolitan areas. Commercial Cafe’s annual report shows 6.2 million square feet across 24 projects in D.C. will be completed this year. D.C. ranked fifth in 2018, with 4.4 million square feet of office space that delivered that year. Last year, the D.C. area had two projects in the top 10 nationally. 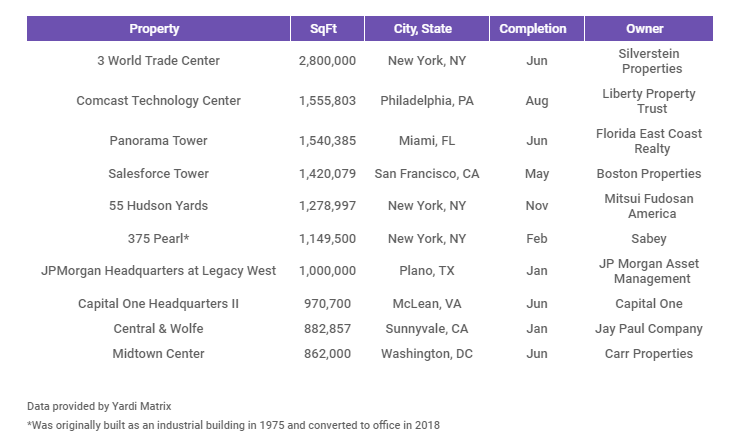 Carr Properties’ 862,000-square-foot Midtown Center ranked 10th largest, while the 970,700-square-foot Capital One Headquarters II ranked eighth. 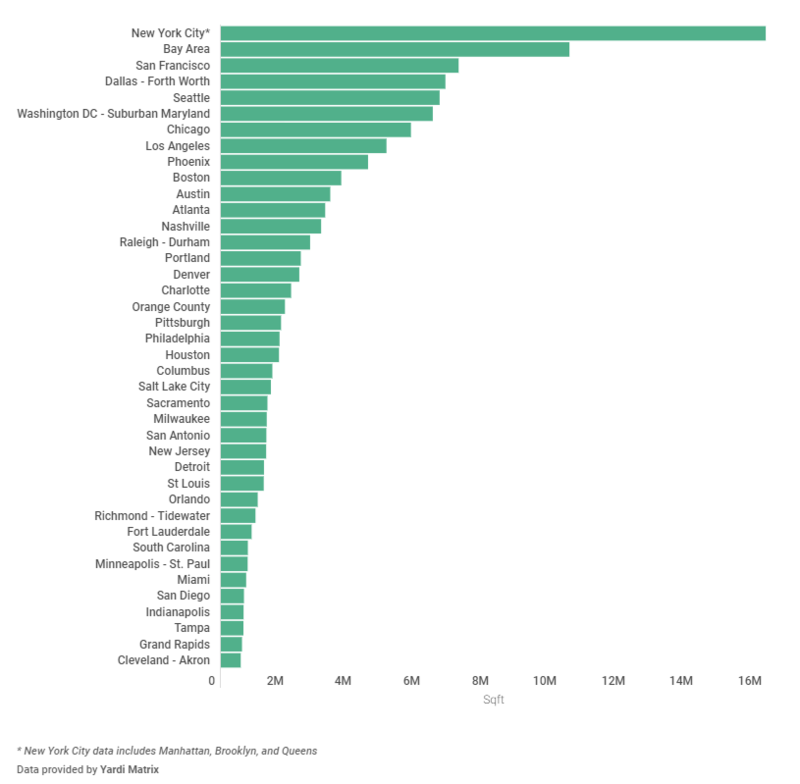 New York City ranks first for office deliveries this year, with 46 projects currently underway that will total 16 million square feet. The San Francisco Bay area is second, with 37 projects totaling 10 million square feet. The largest office project expected to deliver this year is Apple’s 2.9 million square foot campus in Cupertino, California. It also led the list last year with several phases completed, but the building will not be ready for occupancy until later in 2019. Time Warner’s 2.6-million-square-foot 30 Hudson Yards skyscraper project in Manhattan is the second-largest office project that will deliver this year.